Aimee found a great article about hand care tips! I'm sure a lot of you guys already know some of these things, but this is a good reference that has ALL the hand care tips you'll ever need to prevent calluses & hand tears! Thanks for sharing, Aimee! I got this coupon sent to me to get 40% off everything @ the Reebok Outlet Store in Allen! Check it out & get some cool gear this weekend! Coupon is valid through Monday, November 11th! You can either print it out & bring it in, or you can simply display it on your smart phone when you checkout! Help us win a grant to expand Sigma CrossFit! We just signed up to try to win a Mission Main Street Grant to grow our business! We need at least 250 votes to qualify for the small business grant. 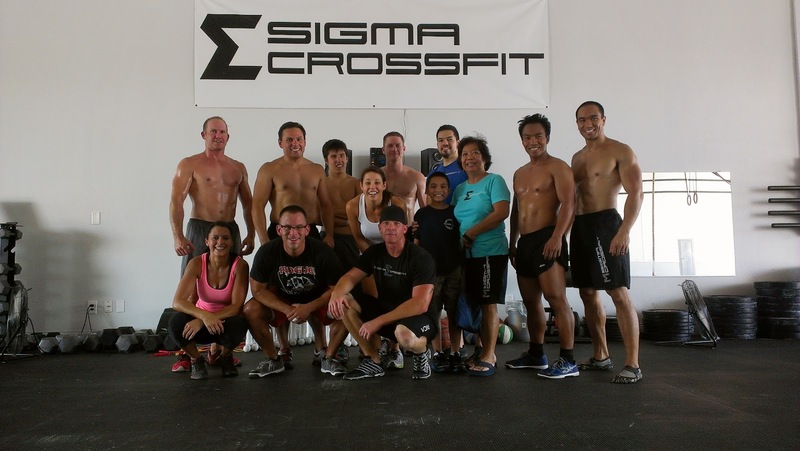 Please use the link below to vote for Sigma CrossFit! Also, please make sure you SHARE it on your Facebook timeline so that other friends can help us out with their vote too! While you're at it, don't forget to Like us on Facebook if you haven't already. Thanks for your vote! 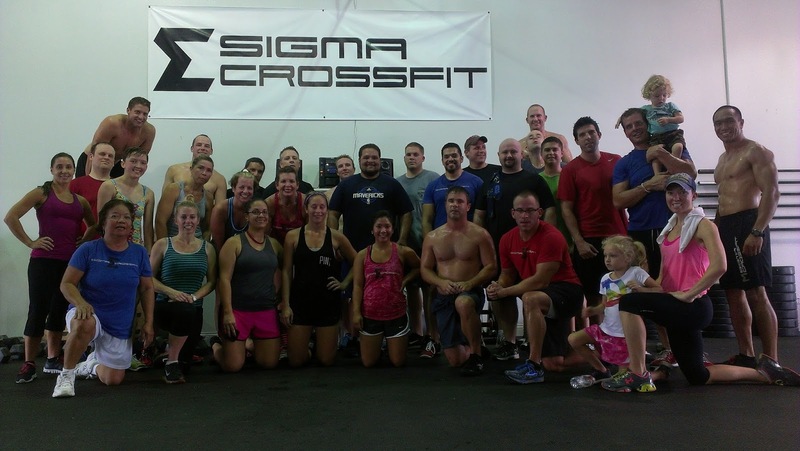 2013 Labor Day Hero WOD was awesome! We did the recent Hero WOD in honor of the "Hotshots 19" firefighters that lost their lives on June 30, 2013. 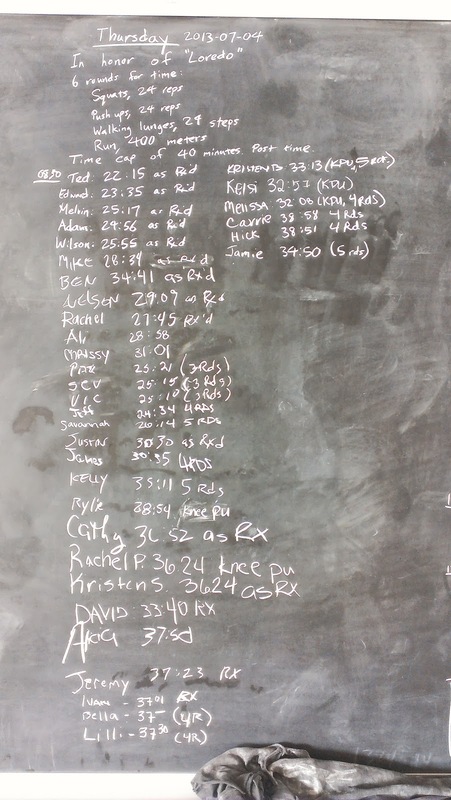 Here is a picture of the participants & the WOD board! Great job everyone! 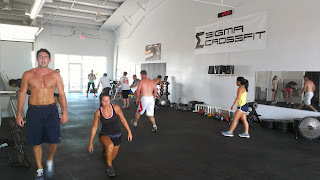 We will be doing a Labor Day WOD on Monday @ 8:30am that will be open to the general public! So feel free to invite your friends & family who want to get a workout in before going to that BBQ or however else you celebrate your Labor Day! 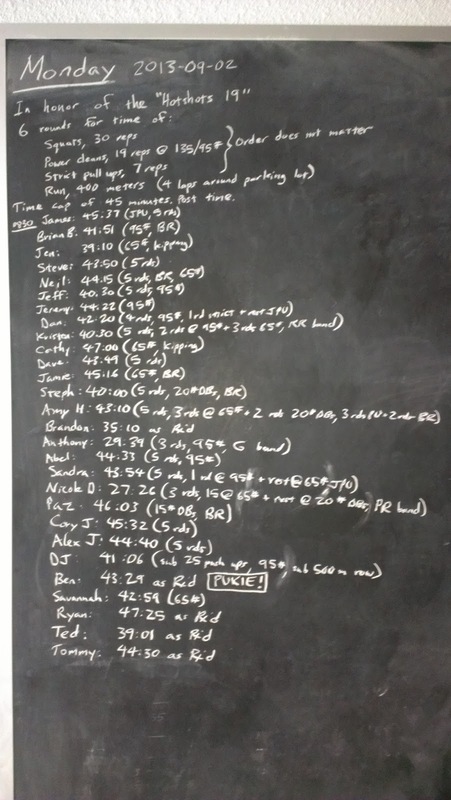 We will most likely be doing a Hero WOD, depending on how many people show up. Regardless, it will be a fun time so don't miss the AWESOMENESS! Biggest Saturday Open Gym yet! 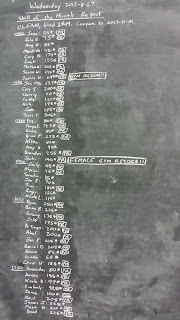 We had a total of 20 people @ open gym this past Saturday! Biggest crowd we've had on a Saturday that wasn't a special event! It was awesome to see such a variety of people working out! 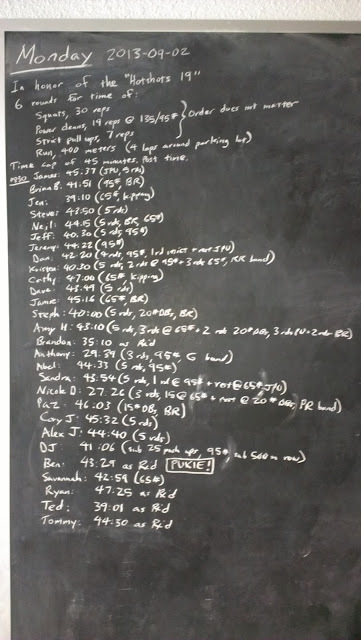 We had 3 people going through their Σlements, 2 people doing Friday's WOD with the farmer's walk, 3 people doing Wednesday's 100s chipper, 3 people working on weightlifting, 2 people working on cardio, & 7 people doing Hero WODs! We got a picture at the end, but by then, half the group already left. 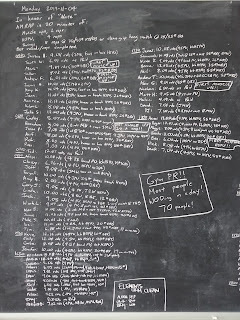 July 4th Hero WOD, in honor of "Loredo"
Time cap of 40 minutes. Post time. It's that time of year again! The CrossFit Games Open starts in 3 weeks! 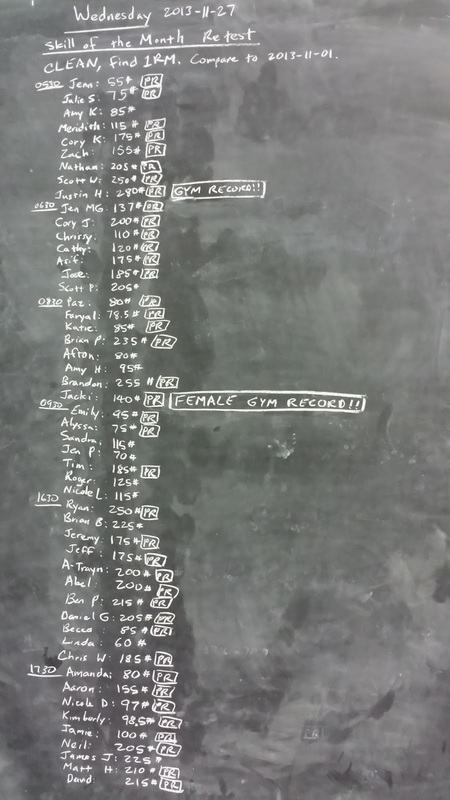 If you're competing in the Open this year & are looking for a place to do your competition workouts, come have your scores validated @ Sigma CrossFit for FREE!! If you train regularly @ Sigma CrossFit, don't forget to list us as your affiliate & join the Sigma CrossFit Team so your individual score will help our team score! 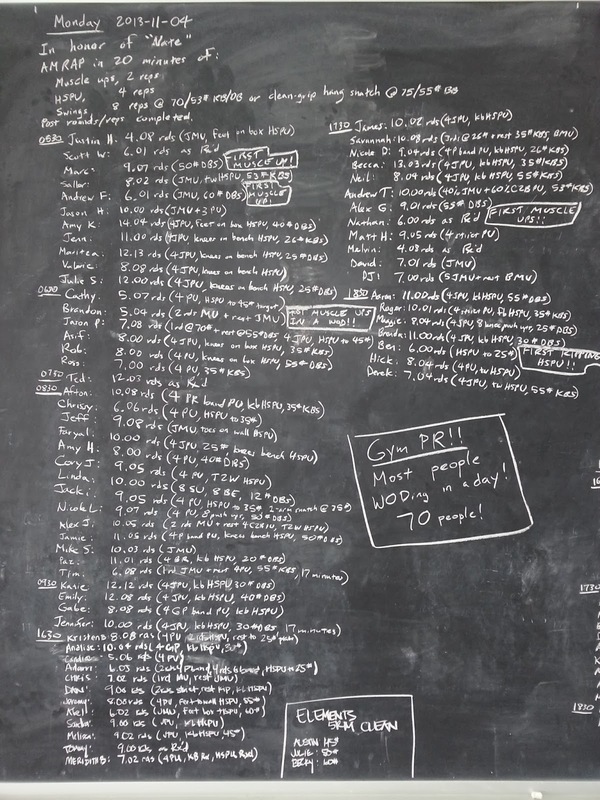 Check out these videos from CrossFit HQ about the Open & sign up!